Think back to all those times when your non-tech savvy parents have called you over for free computer tech support. What’s one unifying theme from all of these instances? If your loved ones are anything like mine, it’s a horde of uninstalled updates awaiting approval. This is unfortunately all too common, as most of the technologically illiterate simply ignore update notifications, without realizing that these updates often patch vulnerabilities and add important features. Luckily on Android, updates can be set to automatically install if the app’s permissions haven’t changed. However, not everyone has auto-update enabled, and even those with the option enabled may not take the time to manually update applications with changed permissions in the app manifest. In these instances, users need a little bit of prodding to get them to be a man and do the right thing—update their applications. As a developer, not having users on the latest version of your app can be problematic. After all, who wants users complaining about broken features that have already been fixed two versions ago? Thankfully, XDA Senior Member rampo created a library to help with this problem in your own app. So how does the library work? Simple. 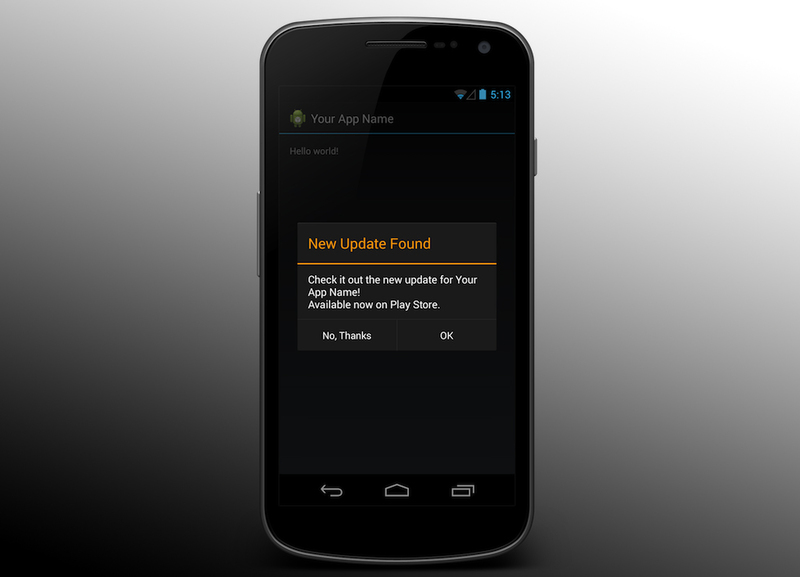 UpdateChecker is a class that when called checks to see if the app is updated to the latest version available in the Play Store by parsing your app’s desktop Play Store listing. If there is a newer version available, the user is then prompted to update. Head over to the library thread to prod your users to update.